One of the most classic hotels in the city, Bayview Park Hotel Manila stands proud and strong. 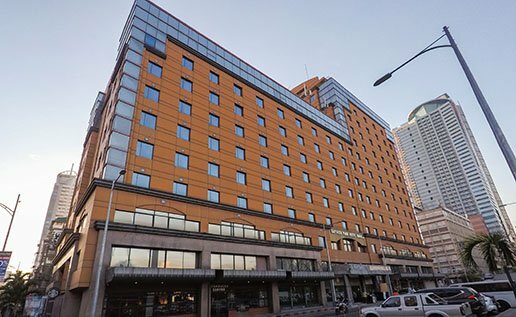 For 75 years, this hotel near Roxas Boulevard is the most sought-after destination for business and leisure travelers. The hotel provides unparalleled service and exclusive offers for selective guests at affordable rates. 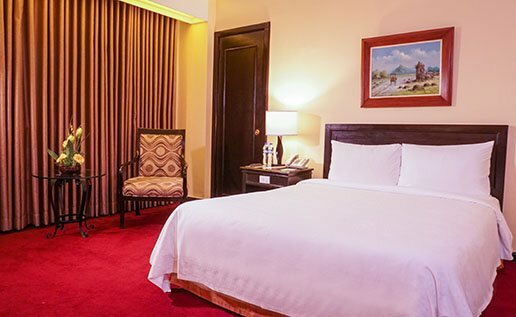 The Bayview Hotel is a walk away from Intramuros and situated opposite the landmark U.S. Embassy building. Being in the historic heart of the city, guests can enjoy the spectacular views of Manila Bay sunsets and nightlife. We guarantee a comfortable and convenient ambiance in this classy and elegant hotel in Manila. Make yourself comfortable in any of our fully air-conditioned rooms. Each one is equipped with a television with cable channels, private bath with hot and cold shower, and a mini-bar. 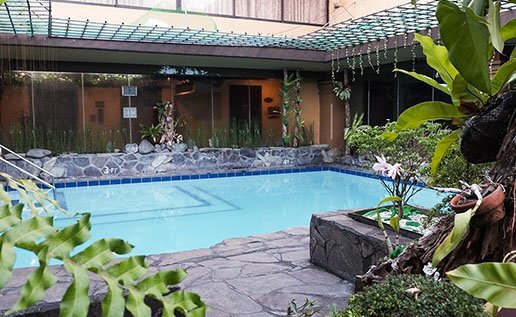 This accommodation in Manila boasts of function halls, conference rooms, a swimming pool, and a café. It also offers room service, valet parking, and airport and city transfers to relieve you of the hassles of transport. Situated along Roxas Boulevard and facing Manila Bay, the hotel places you at the center of the city. It stands opposite the U.S. Embassy and is near Rizal Park, Intramuros, and Cultural Center of the Philippines. Searching for a way to make travels more budget-friendly? 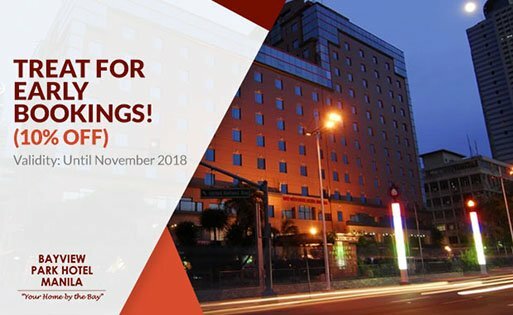 Check out the Exclusive Offers Page of Bayview Park Hotel Manila to see all available promotions.